The Heirs | Teefa Says..
As a university student, i used to watch Korean drama all the time but since i started working, i don't have time for that. Maka memang ketinggalan la bab-bab Korean drama ni. i don't mind missing out coz i actually hate the K-pop culture (what's up with men who looks like, or even more prettier than girls?). Tapi ada sorang pelakon ni yang memang menjadi kegilaan aku. Camne busy pon, everytime drama dia keluar aku akan tengok. 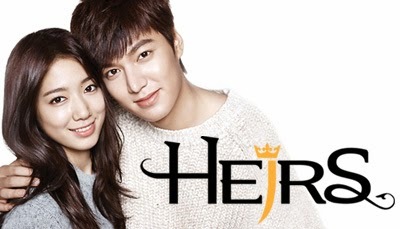 i currently am watching The Heirs. Kat Korea pon tak abes tayang lagi, maka seksanya tunggu setiap Rabu dan Khamis for the new episode to be available online. 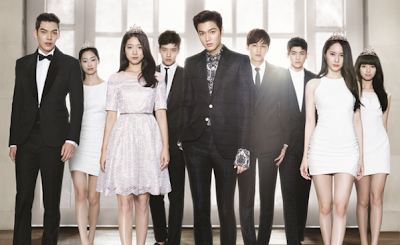 The Heirs revolves around a group of rich, heirs-of-giant-companies teenagers. One of them, Kim Tan, who were studying in the US met a Korean girl (Cha Eun Sang) and fell in love with her. She was in the US in search for her sister but later go back to Korea. Kim Tan return to Korea and later discovered that Cha Eun Sang is actually his housemaid's daughter. The drama and conflicts continues with Kim Tan's ex-bestfriend-now-arch-enemy, Young Do, Kim Tan's unwanted fiance (Rachel) and family conflicts. Ahhh can't wait for tonight to watch episode 15!